This is a simple flan recipe that is sure to make your taste buds quiver. 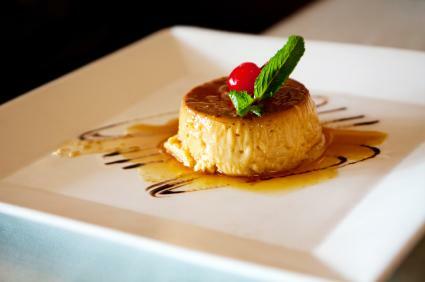 The JCS Coconut milk is what makes this flan different from others, making it not just any flan...but a Flava-Flan. Place 2 cups of the sugar in a heavy saucepan and cook over medium heat, stirring regularly, until caramelized. Pour the caramel into a 9-inch-round, 3-inch-deep pan. Coat the bottom and sides, then set aside for 15 minutes. In a large bowl, mix the milks, eggs, coconut extract,coconut milk, vanilla extract, and salt. Pour the mixture over the caramel. Set in a water bath and cover with foil. Bake until the center is set, 2 1/2 to 3 hours. Chill for 3 hours or overnight. Before serving, turn the flan onto a serving plate. Heat the remaining sugar in 1 cup water over medium-high heat until it dissolves, about 30 seconds. Stir in the coconut and spoon over the flan.